A very impressive collection indeed. Is the item 108 (http://i724.photobucket.com/albums/ww247/rossocorsa/lancia%20beta%20brochures/DSCF0394.jpg) a brochure or just a poster? I haven't seen this one before - obviously a very early Beta publication. 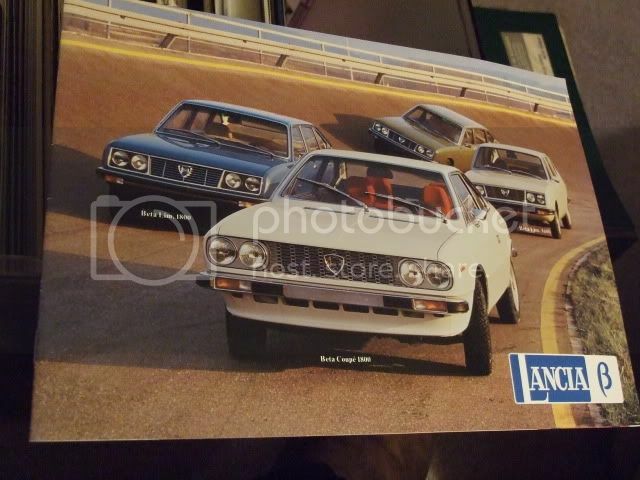 16 pages covers berlina 1600 and 1800 and coupé 1800 it is dated April 1975,it's a very nice brochure very attractive. this one is the only proper Italian printed full (as opposed to a fold out single sheet version) Volumex coupé brochure I've come across it's in French but was no doubt also printed in English...I'm still looking for that!! this one is Japanese market I have this and another single sheet (also coupé) but I'm sure there were more issued very illusive items!